Sugar Plump Fairies - Welcome to the Sugar Plump Fairies! 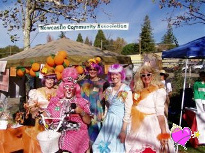 Since 1997, The Sugar Plump Fairies have been delighting the Greater Auburn, California Area with their philanthropic antics. Drawing attention to themselves for worthy causes is our calling. Whether ringing bells during the holidays, selling raffle tickets for fund raisers or soliciting donations for disaster relief, they always elicit a smile and an open wallet. Now the Fairies have a cause of their own: The ArtRageous Grant Program! 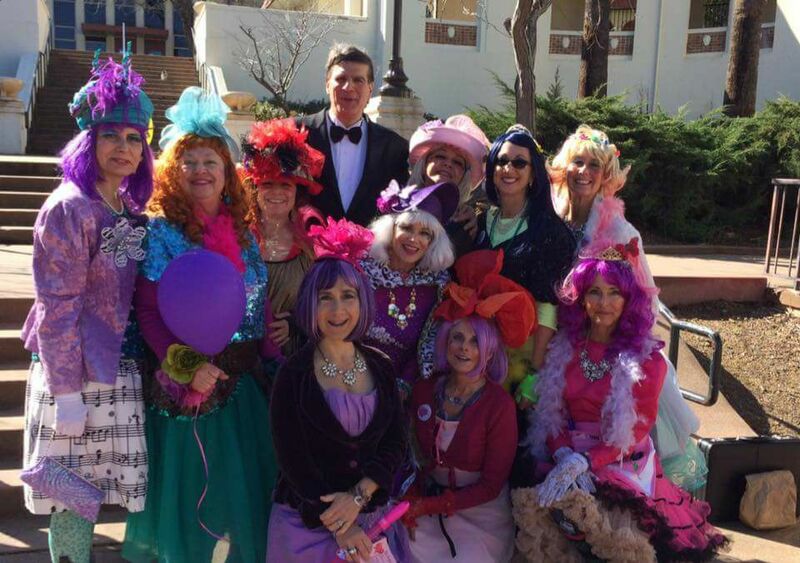 Through creativity, silliness, and "fun-raising," the Sugar Plump Fairies seek to inspire the generosity of others to provide the youth of the Auburn area with greater access to the Arts, in all its forms. 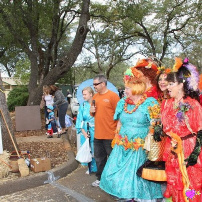 The Sugar Plump Fairies use performance art and creativity to support good works in the community. We believe that the arts can open minds, provide inspiration, connect people across cultural, racial, and class boundaries, and generally enhance the quality of life for individuals and our community. Our funds go to support the initiatives of our applicants to expose all forms of art to the youth of the greater Auburn area. This is done through the Sugar Plump Fairy ARTrageous Grant Program, through which the Fairies have already awarded more than $14,000! Copyright © 2016- Sugar Plump Fairies. All Rights Reserved.